I applaud The Salt Lake Tribune for calling out our Gov. Gary Herbert in his decision to wash his hands of the depleted uranium issue. I, however, am of the opinion that The Tribune did not go far enough. I think The Tribune should have gone the extra step and called it cowardly. I think his reluctance to reject that dangerous substance is nothing short of cowardly and naive. Expecting someone else (the federal government) to come in and take responsibility for this garbage is ludicrous. 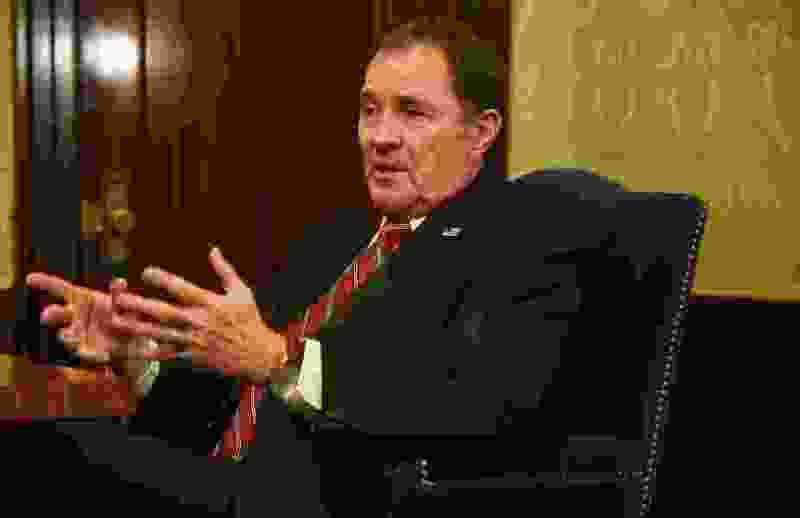 The federal government is incapable of doing what is in the interest of the state of Utah. It would take the federal government 10 years just to make a decision to think about what to do with the DU. Then it would take another 10 years for them to come up with a plan. Then it would take another 10 years to actually get to taking care of the problem and then we would find someone to do what Herbert did, pass the buck. We are stuck with this stuff way beyond the second coming of Christ and that is a fact. If you don't believe me then just look at how smoothly the Yucca Flats storage facility has gone. Now, there is an example of how your government can make decisions on nuclear waste. This is a monumental miscarriage of responsibility. Your children's children will be dealing with issues from this asinine decision in the future. Just like they will be dealing with the national debt. Sure, your federal government will have lots of money to take care of this pernicious gift Herbert has given you. And so it goes.